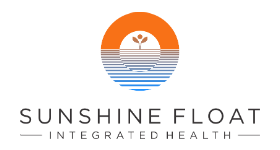 Sunshine Float & Integrated Health is proud to serve and sell certified organic loose leaf tea from Westholme Tea Company located in the Cowichan Valley of Vancouver Island, British Columbia. They are purveyors of the finest and freshest estate grown teas from select organic tea farms around the world. 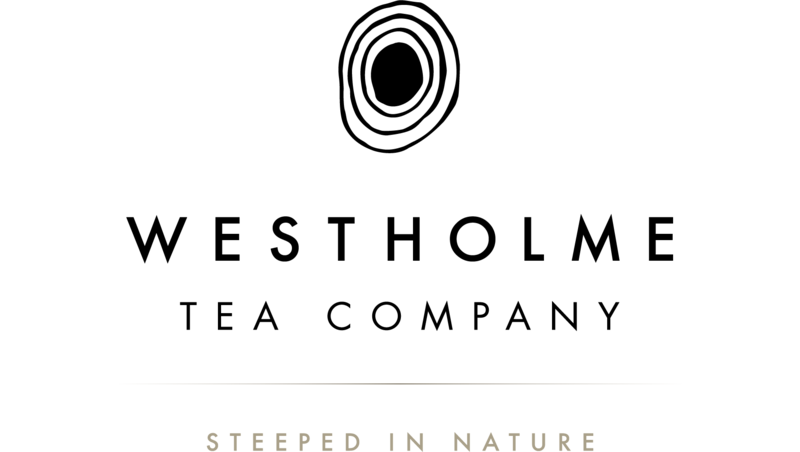 Westholme tea blends are handcrafted in micro batches using only the purest ingredients nature has to offer. Westholme Tea Company’s selection of original recipe artisan teas and herbal infusions do not contain flavourings or synthetic essences of any kind. Come visit us in-store to buy your Westholme Tea Farm organic tea. Flavourful and bold with a lingering astringency. A great start to your day. The finest classic earl grey available. Smooth and flavourful with a true orangey finish. A smooth and beautifully aromatic black tea. The cup is a deep amber with lasting notes of bergamot and lavender. A warm and comforting aromatic black tea. Smooth on the nose. The cup is light and creamy. A perfect morning, afternoon and evening tea enjoyed on its own or with milk and honey. Blended in Westholme using tea sourced from India; cardamom & ginger from Sri Lanka, cinnamon, black pepper and cloves from India. 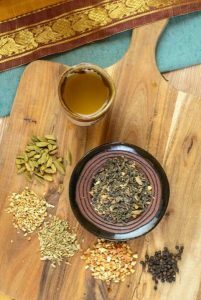 A warm and comforting, spicy black tea. The exotic fragrance of ginger, cardamom and cinnamon combine perfectly in this black tea base. The black pepper and cloves add an exciting touch at the end. Enjoy it cooked with your personal choice of milk and honey to taste. A beautifully aromatic tea that offers a soft flavourful cup with lingering floral notes. An herbal chai offering the right amount of spices and a cup full of flavour. Slightly tart and refreshing with a subtle, naturally sweet flavour. A warm and comforting herbal blend with a refreshing and revitalizing flavour of summer sun. A soft and soothing evening infusion. Refreshing, revitalizing and naturally sweet.